For Utah residents looking to spend their New Year’s Eve getting white girl wasted, a hangover just officially became the least of their concerns. Because Sunday morning, a new law went into effect that drops the state’s blood alcohol content limit from 0.08 to 0.05—the strictest DUI standard in the entire country. According to CNN, the new law also states that “thou shalt call an Uber” and anyone who “operates a motor vehicle in a negligent manner causing the death of another” and has a “blood alcohol concentration of .05 grams or greater” will have committed a criminal homicide, a felony. There was minimal resistance in getting the change approved in 2017 by the Legislature, which primarily consists of Mormons and Republicans, and was signed into law by Gov. Gary Herbert, who just so happens to be Republican and member of The Church of Jesus Christ of Latter-day Saints, the Chicago Tribune reports. That religion is noted for teaching its members to abstain from drinking alcohol. So why the crackdown exactly 24 hours before the biggest party of the year? 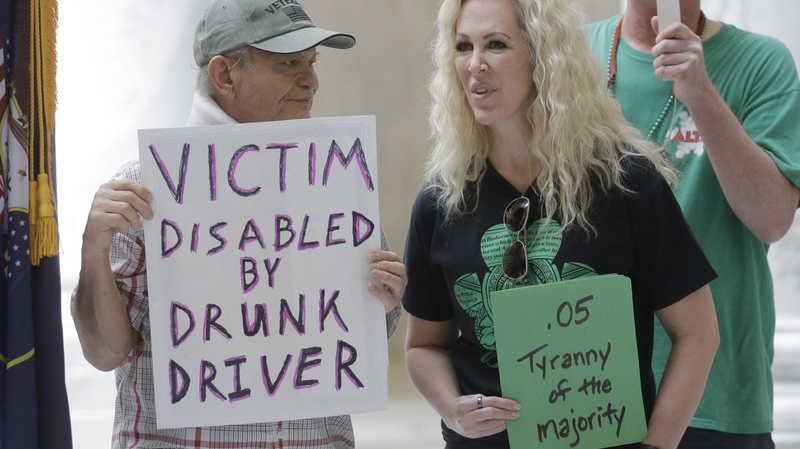 Because Utah is sick and tired of DUIs—they’ve averaged 29.8 DUI arrests every day for the past five years—and expects other states to follow suit. For the rest of the country, a 0.08 threshold for noncommercial drivers over the age of 21 remains standard. And this new law isn’t without its fair share of detractors. The American Beverage Institute notes that a woman could reach the 0.05 limit after a single drink, while a 160-pound man could reach the limit after two. And is it fair to face criminal charges for only consuming one or two drinks? Meanwhile, David Rosenbloom, a local lawyer who’s handled more than a 1,000 DUI cases, believes the change equates to bad policy for the state. Also of note is the fact that this new law comes at a time where drunken-driving fatalities in the U.S. have been on the decline. According to the National Highway Traffic Safety Administration, they’ve decreased by a third over the past 30 years even though almost 29 people still die each day from alcohol-related crashes—which comprise roughly 28 percent of all motor vehicle fatalities. So all that to say, if you’re looking to party in Utah for New Year’s Eve, that Lyft surcharge is a small price to pay for your safety and peace of mind.